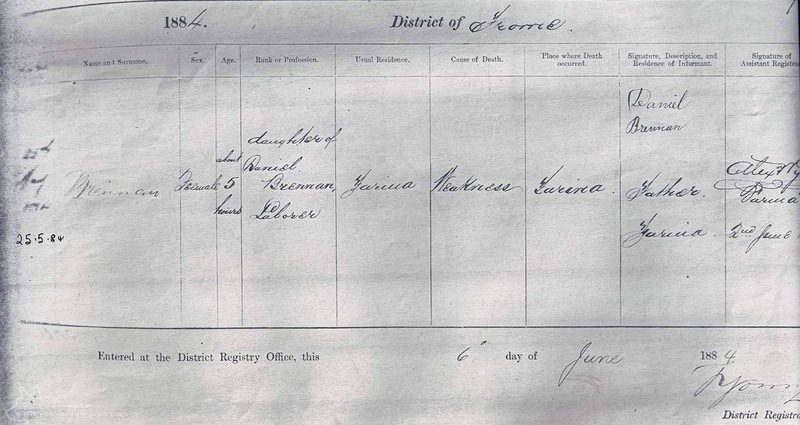 Daniel appears to have been borne in Melbourne in 1886 of ? Irish parents . 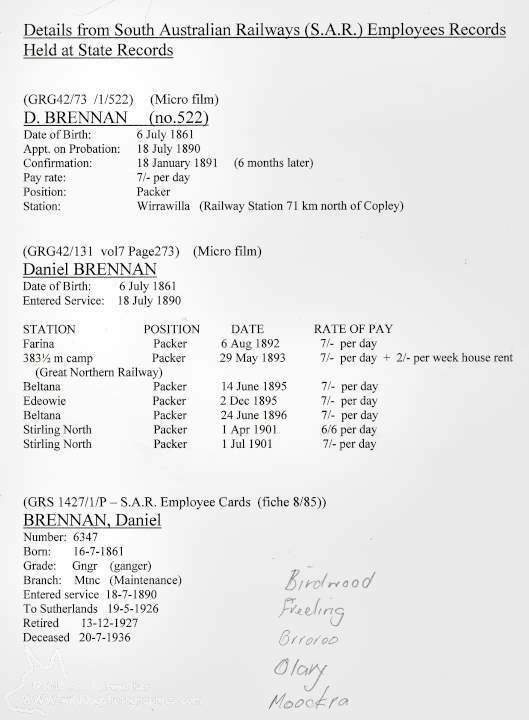 In 1884 he was working as a labourer/teamster in the Farina area. He married Annie Mary ? 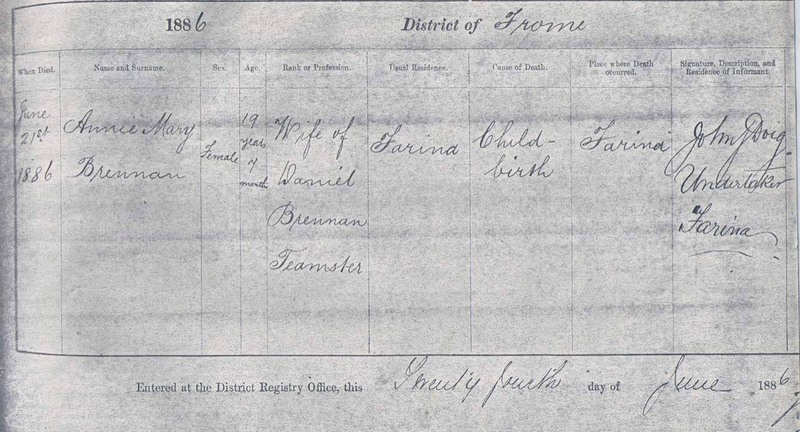 and had a daughter on May 25, 1884 who lived for about 5 hours. Annie Mary gave birth to a second daughter (Mary Annie Maud) on June 21st, 1886, but died in childbirth aged 19 years and 7 months. 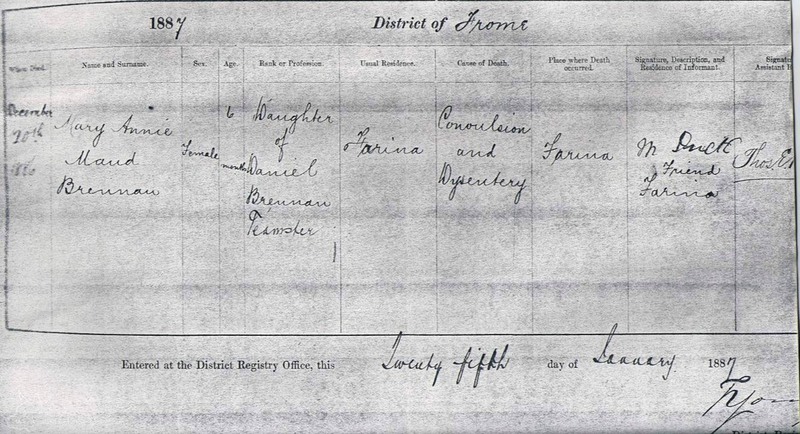 This second daughter died 6 months later on December 20, 1886 of convulsions and Dysentery. Daniel joined the Railways in 1890.